We proud to announce that we provide all kind of lock out services whether for automotive, residential, or commercial clients. Our emergency locksmiths are experts in opening vehicle doors for people who locked their key inside the car, house, or office. It’s important to point out that we’re opening almost every lock and door whether in commercial building, apartments building, or single home. Emergency lock out services are our main goal and first priority to help customers who need door unlocking service as fast as possible. That includes fast bedroom lockout services, as well as safe lockout services. 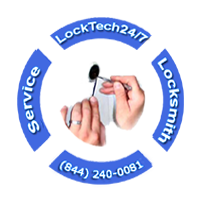 Our locksmith will be in location within 20 minutes of your first call. As we are working 24hr, 7 days a week, we are always available to assist you, day or night. You can rely on us to be there for you at any time you need us most. You can count on us to open any door and any lock. 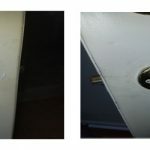 We provide full suit of lock out services and we have all the tools and equipment to open your door with no damage. Let say it strait; we can open any vehicle on the road today! Among our automotive lock out services, we open small car or big trucks. We can open your tool box in the back of your truck or the cargo space in the back of your tractor. Our locksmiths can open camper van and high class RV, as well as gas cap or steering wheel lock. Our Automotive Locksmiths are experts in the locksmith industry. We can open your BMW or Jaguar. WE guarantee that your vehicle door will be open in no time. 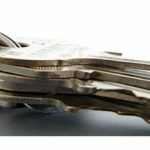 We provide full line of Residential Locksmith Services, but home lock out is a daily routine of LockTech24/7 locksmith to help residents in Allentown, Bethlehem, Easton, and across the Lehigh Valley, PA.
It’s important to mention that lock out situation can happen when it least expected. For instance, imagine you get ready early in the morning to work, and you take your dog for a morning walk with your cup of coffee. You rash out, slammed the door, and suddenly it hits you, you for got the key to your home. Worry not! We are ready to help also when it early in the morning. Don’t hesitate to call us! We provide full range of residential lock out services such as apartment and house lockout. As well as room, garage, and basement lock out.If you lock yourself out of your china cabinet or safe, we can help, too. Unlocking commercial locks is not an easy task. Commercial locks, usually are upgraded security to protect the assets of your business. When you lock yourself out of your business or and interior room, most likely you can find commercial lever or door knob, or and sort of mortise or rim lock and mechanism. In many chances a push bar will also be install on the interior side of the door, especially back door. Yet, our commercial locksmith experts are very skilled to unlock any lock, door, and mechanism. Among our commercial lock out services, you can find storefront lockout, as well as office lockout. We can open storage room, or conference room. We can open above the head garage door as well as basement door. If you lock yourself out of your file cabinet, desk, or safe, we can help, too. And I thought I was the sensible one, thinking to save money, but damaging my car while trying to open it up by myself. Thanks for setting me straight.